Life of a Knitphomaniac: Exciting Stash Enhancements with a Hedgehog score! Exciting Stash Enhancements with a Hedgehog score! Hi Guys and Gals....I am so excited about my stash enhancements, I am going to jump right in! I have been on a bit of a leggings kick! I got some new leggings with knit stitches on them and one pair with motorcycles on them....I just love all these leggings (and might have a pair with old time cars on the way)!!! 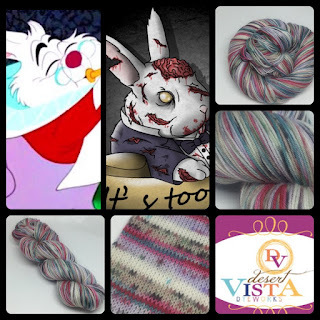 Then I scored some Hedgehog Yarn....I see this yarn all the time and have never used it....I got Film Noir and Bramble....I love them BOTH, but I love the Film Noir so much, I ordered one more skein. 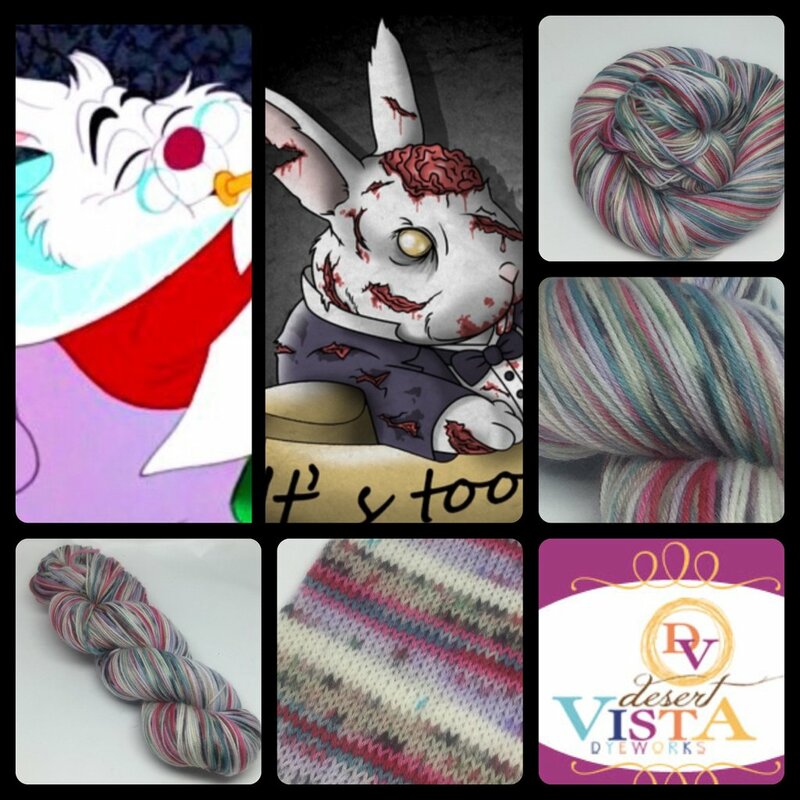 I also got my FREE skein of yarn from Desert Vista Dyeworks....this is for finishing 6 months of the socks each month. It is called Zombody's Late from Alice in Wonderland. 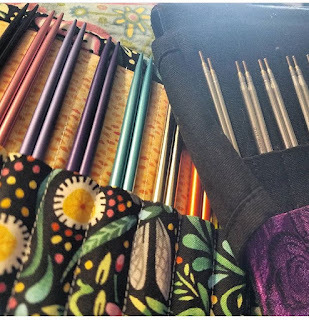 Along with my 3.5" needles, I got 4 of the new Midnight needles in 5"...I love them and am saving up to get the other 4 needles to finish the set! Okay.....so as for the knitting.....I finished nothing and I hardly knit this week.....BOO HOO! I worked on the black sweater....I would like to try to finish this by Thanksgiving and I am already behind.....I will try to catch up! Then I started my DVD September socks.....Here comes the Zombride...I love this color! And after ripping twice....I finally got the motorcycle hat restarted. That is it.....I had a crazy busy weekend with Antonio...I got a new pool for him, we went to golf with my mom and dad and when he came over on Friday, he had a black check from where he hit his face on an entertainment center (cuz he has a crazy amount of energy)!! You are the Stadh Enhancement Queen!! !